MEDIA 115 INTRODUCTION TO DIGITAL VIDEO • 5	Cr. This course introduces students to digital video, audio, motion graphics, and digital filming techniques. Students will plan, film, edit, and stream short digital videos on the internet. Students enrolling in this class must supply their own digital video camera and have good computer skills. This class will include students from multiple sections. Prerequisite required. Online classroom opens 1/2/2019. Log in at https://pencol.instructure.com Email address is required to register for online class. MEDIA 175 PRINCIPLES OF DIGITAL PHOTOGRAPHY • 4	Cr. Introduction to digital photography, studio lighting, portraiture and computer photo imaging. Emphasis on the discovery of solutions for artistic challenges to composition, lighting, color balance, white balance, exposure methods, and photographic technology. Create an interactive web gallery of photographs for web presentation. Explore the cultural influences of visual communication and the evolution of traditional photography into the digital age. Prerequisites: Good computer and file management skills. Online classroom opens 1/2/2019. Log in at https://pencol.instructure.com Email address is required to register for online class. Access to Adobe Photoshop software is required. Prerequisite required. MEDIA 182 LITERARY MAGAZINE PRODUCTION II • V1-3 Cr. Planning and production of college literary magazine, Tidepools. Quarterly activities include: soliciting student contributions, conducting a community-wide contest, designing the magazine; judging material and producing camera-ready copy for printing; marketing finished product and organizing a reading by contest winners and contributors. Colisted with ENGL 180-182. This class will include students from multiple sections. MEDIA 190 WEB AUTHORING • 5	Cr. Learn how to plan, create, and publish a website from start to finish. Use HTML and cascading style sheets (CSS) to format accessible site navigation and web content layout. Learn information mapping and effective user interface design methods. Add multimedia and graphic elements to interactive web pages. Use search engine optimization strategies to improve website visibility. Online classroom opens 1/2/2019. Log in at https://pencol.instructure.com Email address is required to register for online class. Access to Adobe Photoshop required. Prerequisite required. MEDIA 196 INTRODUCTION TO 3D DESIGN • 5	Cr. Explore the fundamental techniques of 3D creation, capturing, and rendering. Create objects and characters that can be used for 3D environments, interfaces and printing. This class will include students from multiple sections. Prerequisite: Good computer file management skills. MEDIA 201 DIGITAL IMAGE EDITING I • 5	Cr. 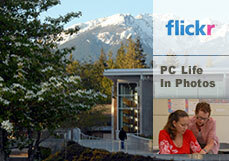 Provides fundamental digital imaging skills. Learn to scan, optimize, enhance, colorize, and combine photographs. Emphasis will be placed on editing photographs, color management, and acquiring a basic understanding of Adobe Photoshop. Prerequisites: Good computer and file management skills. MEDIA 202 ADVANCED IMAGE EDITING • 5	Cr. Use practical techniques to professionally manipulate photographs and automate digital image production tasks. Create special effects for type, photos, and web graphics with industry standard software (Photoshop). Students will produce an informational multimedia presentation on the topic of a global issue, and design a webpage portfolio to showcase course projects. This class will include students from multiple sections. Prerequisite: MEDIA 201. MEDIA 204 DIGITAL ILLUSTRATION • 5	Cr. Introduction to computer illustration with Adobe Illustrator. Learn basic through intermediate computer drawing skills, and use precision digital art production tools. Create professional quality vector graphics for printed materials, multimedia projects, and web presentation. This class will include students from multiple sections. Online classroom opens 1/2/2019. Log in at https://pencol.instructure.com Email address is required to register for online class. ACCESS TO ADOBE ILLUSTRATOR REQUIRED. MEDIA 275 SOCIAL MEDIA MARKETING • 5	Cr. Develop and market a business presence and webpage on the Internet with social media and open source web applications. Explore online consumer behavior and Internet marketing campaigns. This class will include students from multiple sections. Co-listed with ENT 275.